The Grandville Avenue Girls Choir program is designed for girls who are in 3rd through 5th grade and attend Southwest Community Campus School, Chavez Elementary, and Buchanan Elementary - all in the Grand Rapids Public Schools. 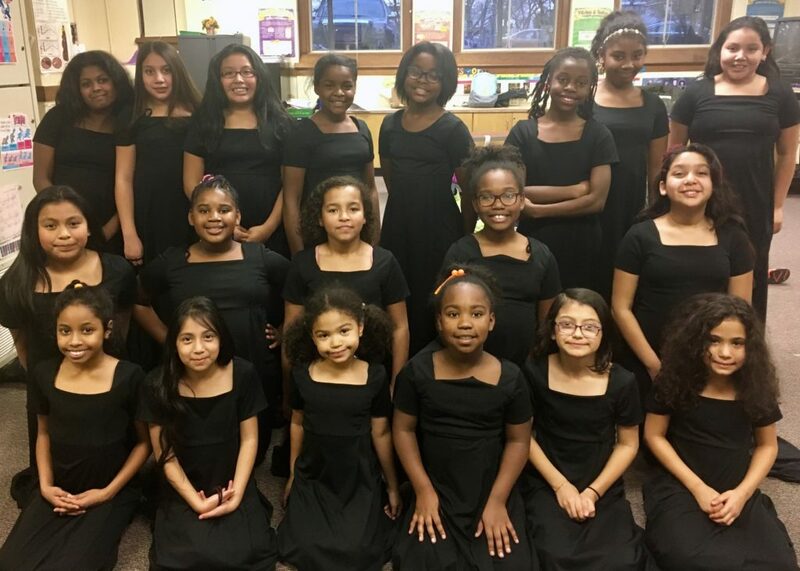 The Grandville Avenue Girls Choir program was formed in 1999 and serves third girls in urban Grand Rapids with emphasis placed on vocal music in a positive atmosphere. The repertoire is varied and ranges from Hispanic folk songs to jazz and gospel tunes. These students attend rehearsal once a week and have two major concerts throughout the season, as well as other smaller performances in the community. Several times a year they go on special outings. Some of these activities include pool parties at Wealthy Elementary School, visiting local colleges, and traveling to Chicago.